Poikilocytosis refers to when you have poikilocytes in your blood. What are poikilocytes? what are the causes of Poikilocytosis? and what are the symptoms and treatment of Poikilocytosis? To know all about Poikilocytosis just scroll down. Blood is the life-maintaining fluid that circulates through the body. Blood is a highly specialized tissue composed of more than 4,000 different kinds of components. The essential ones are red cells, white cells, platelets, and plasma. Plasma which constitutes 55% of the blood volume is a liquid component of blood that contains largely water and some electrolytes and proteins. RBC or red blood corpuscles make up 40-50% of the total blood volume are the matter that transports oxygen in the blood. Normal range of RBC is 4.7 to 6 million cells per mL in males and 4.2 to 5.5 million cells per mL in females. RBC is round and flat in shape and thick in the edges and thin in the middle. 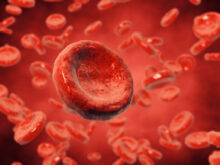 Any difference in the normal level or normal shape of RBC can cause health issues. There are abnormally shaped RBC in the blood called poikilocytes. Increased number of poikilocytes in the blood is termed as poikilocytosis. The term “poikilos” means “varied” and thus poikilocytes are abnormal/irregular shaped red blood cells in blood. Many types of poikilocytes exist in the blood and very few of the blood cells are abnormally shaped. Poikilocytosis refers to when more than 10% of the blood cells are deformed. Poikilocytes occurrence in blood may leads to reduced oxygen content in blood causing various health disorders. Due to increased amount of defective blood cells in blood stream, oxygen and other vital nutrients are not transported to vital organs in normal manner which can cause various problems. This disorder can be treated based on the symptoms and illness due to blood deficiency. There are several kinds of poikilocytes including Spur cells, Target cells, Burr cells, Elliptocytes, Spherocytes, Mouth cells, Sickle Cells, “bite cells”, Teardrop Cells, Keratocytes, Microspherocytes, Schistocytes and Semilunar bodies. Poikilocytosis can occur due to vitamin deficiency in blood. Poikilocytosis is often the result of a nutritional deficiency like reduced number of folic acid in blood is the major cause of poikilocytosis. Or may also caused by diseases like celiac disease. Poikilocytosis can cause various health problems arising due to deficiency in oxygenated blood supply to various organs. This can cause anemia like symptoms and other diseases depending on the consequences. The treatment of poikilocytosis depends on the Underlying cause. It needs to be identified before treating poikilocytosis. It can be caused by vitamin deficiency where the treatment is to replenish the vitamins and have not been in the diet. Taking supplement of folic acid and vitamins are effective in case the problem is due to deficiency of vitamins. Poikilocytosis can also be caused by digesting diseases in which case you need to treat the underlying disease so that nutrients can be properly absorbed. Excess number of poikilocytes in blood can be present due to sickle cell disease or anemia or celiac disease and much more. Therefore edoctor needs to find the underlying factor causing th problem. Medical treatments are initiated with Blood film test, bone marrow testing and vitamin levels along with lifestyle changes for treating celiac disease other causes. If the symptoms are noticed the patient should consult the doctor immediately to treat Poikilocytosis timely. Patients diagnosed with poikilocytosis can get well if the underlying cause is found properly. By taking the medications and making small changes in lifestyle RBC may get back to normal range in blood. Hello mam I’m arun from tamil nadu I’m working in cmc hospital vellore I have high hemoglobin 19.3 so how to reduce with food any way to reduce ?